On the heels of verbaling to the Kansas State Wildcats, the big 12 regular season champions, Brittany Chambers takes time out of her busy summer to chat with gPrep. 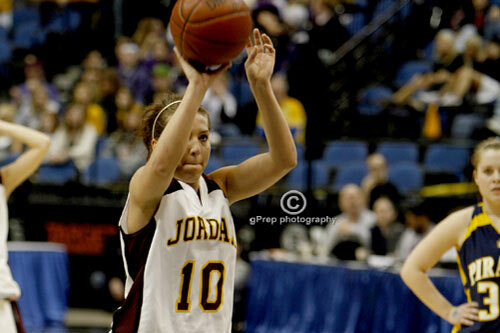 The 5’9“ state record holder for the most points (47) scored in a tournament, talks about everything from her will to win… to her favorite cereal… to court butterflies… to her toughest defender… to her difficult decision to choose basketball over volleyball. 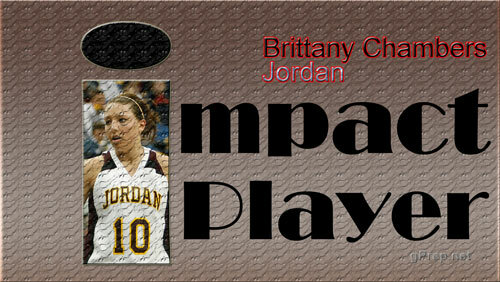 gPrep: Who is Brittany Chambers? gPrep:What is your favorite type of music? gPrep: What is your favorite breakfast cereal? gPrep:What are your basketball goals… personal goals? gPrep: Why is Kansas State a great fit for Brittany Chambers? Chambers: "K State is a great fit for me because I am a very competitive player who really likes to play with emotion and the coaches and the team play in that way. When I watched K State players play, and the coaches coach I knew it would be a great fit for me. The coaches have a lot of energy, and you can see the passion they have for the game when they coach." gPrep:Who is your toughest defender? gPrep: Do you have any game superstitions? Chambers:“I have so many I couldn't even name them all!! 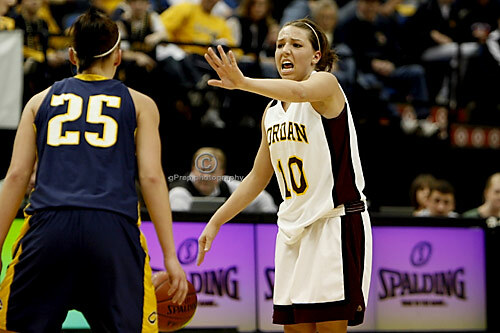 But one thing that I do before every game is I keep my earrings in during warm-ups and then I give them to the coach. It's really stupid but I have to do it!! gPrep: What’s your biggest basketball moment? gPrep: Who introduced you to basketball? gPrep: What or/who is your single biggest court influence? gPrep:What is your practice/workout routine? gPrep: Do you get butterflies before a big game? gPrep:Who is your favorite cartoon character? gPrep: Which girls high school basketball player would you pay to see? gPrep:You Scored 47 points against Crookston, a state record. What do you remember about that game? gPrep: AAU or High School - which do you prefer? gPrep:And finally, why is it so difficult to choose between basketball and volleyball? © Copyright 2007-2008, gPrep.net, All Rights Reserved.